Sea kayaking with seakayakphoto.com: Dell Precision M6500 workstation overheating and running slow. Nice job. Good sleuthing. Much better than dropping a ton on a new laptop. You are right Anon but vacuum cleaner filters are very accessible. This was a strip to the motherboard job, not an easy task for many laptop users. How did you remove the display assembly? The service manual indicates to remove the "wireless antenna cables". No mention of what screws. I have removed 4 screws, but the display assembly is still solidly attached to the computer. Hi Paul I got stuck at that bit too. If you look at picture 14 in the service manual you will see the wireless antennae cables retained by alloy hooks. I just couldn't get them free of the hooks I thought the cables were too short. Then it dawned on me I had unattached them from the other side of the motherboard. I turned it over and pushed the cables through that gave enough slack to get them clear of the retaining hooks and pull them right through to the screen side of the motherboard. Once I did that the screen came off. I hope that helps. I found you really do need to follow the exact sequence in the service manual. Good luck. NB picture 14 in the screen removal section of the service manual! I've just done the same clean on mine as the display had started playing up regularly. I suspect it's due to the graphics card heating up. I found the same dust through the same areas. Cleaned and it's like new again. The whole procedure took me less than an hour. Although I do have some experience with this. Hi Doug...Awesome info, and helped me immensely. 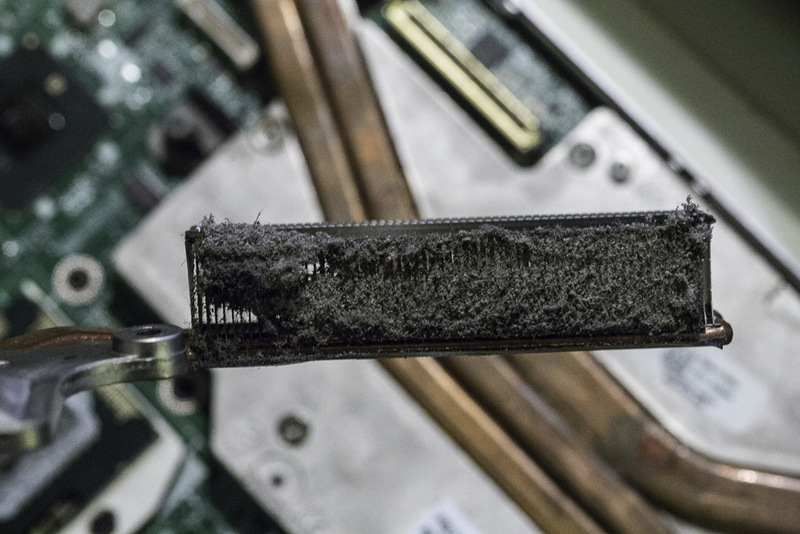 My M6500 was running VERY hot. It wasn't blue screening, but still very loud and hot on the bottom. I dis-assembled and cleaned the heat sinks (looked like a dryer lint trap). Now it's running quiet and cool. Only issue now is the keyboard doesn't work. I'm using a USB keybd now. Did I miss something putting it back together? I didn't think there was anything as it plugs into that slot in the front. Anything on the bottom that I could of missed plugging back in. real pain taking this apart as you know. That's good to hear that it's an assembly issue. I figured that's what I was going to have to do, but dreaded taking apart again. Thanks for the response. I hope your keyboard revives. Have you tried updating to Windows 10 yet? You lose bluetooth, firewire and the card slot but otherwise it runs really well. Yes. I updated to Windows 10 a couple months ago. It does run very well. The only issue I had was the display would go black after logging in. It was an issue with an audio driver if I remember correctly, uninstalled and all has been fine....still no luck on the keyboard. Just tried tear down again. You don't need to dismantle the laptop. I do the cleaning with break cleaner and compress air. 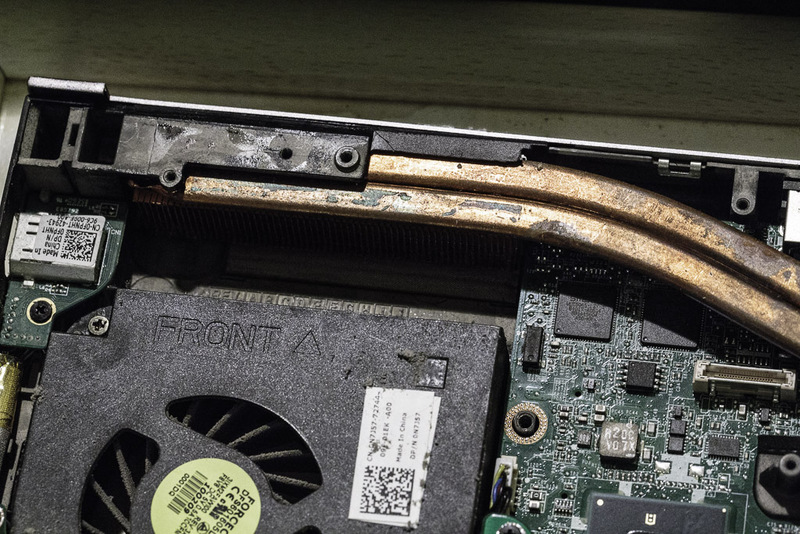 First remove the fan panel then blow up dirt by the heat sink entry so the dirt will go out by the fan, Second clean the dirt with break cleaner then ending with the compress air ( always do it by the air sink entry and block the fan from turning to avoid invert voltage ). Thanks anon, sorry for delay in reply, I have been ill. The M6500 which I (and I presume the others above have) does not have a removable fan panel. So unfortunately your method (which I use successfully on my wife's Toshiba notebook) does not work on this particular Dell model. FWIW, that should have been kept up with. 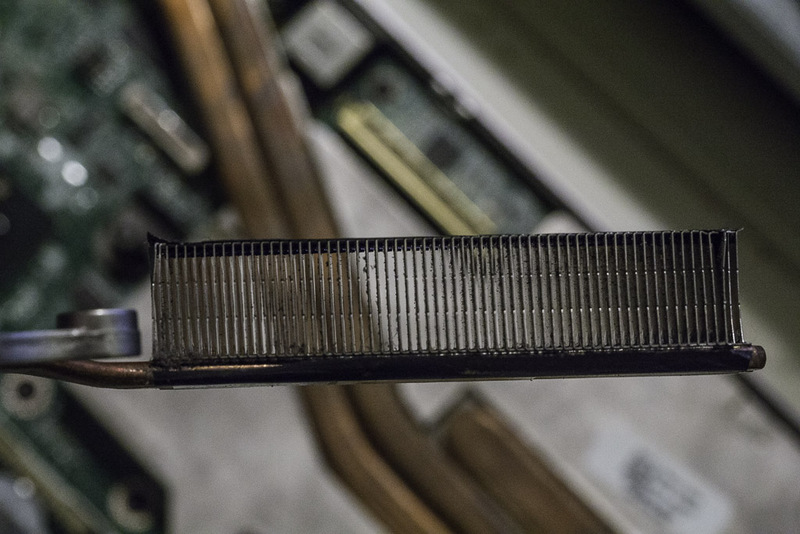 You can clean out the heatsinks just by removing the service cover and hitting the heat fins with a duster can. You actually do not have to tear down the laptop to get to them. Just remove the service cover that you have to remove to get to the hard drives; I suspect that was what Anonymous was referring to. I also have been keeping an M6400 going all this time. It has been a great laptop!